Is Amnesty Int’l planning to single out Jews in 2019? (NGO Monitor via JNS) Leaked documents seen by NGO Monitor and an analysis of public statements from NGO officials indicate that Amnesty International will conduct a series of intense campaigns singling out Israel in early 2019. In this process, Amnesty will delegitimize Jewish historical connections to Jerusalem and elsewhere, as well as promote discriminatory boycotts (BDS) against Israel. Amnesty’s 2019 attacks will include at least two components: (1) Amnesty’s Blacklist: A “new campaign targeting some of the businesses that are profiting from human-rights abuses by operating in the illegal Israeli settlements.” This language mirrors that used by U.N. bureaucrats preparing the UNHRC blacklist. The list is aimed at economically damaging companies that are owned by Jews or do business with Israel, and is ultimately meant to harm the Jewish state. Amnesty’s campaign is timed to bolster this U.N. blacklist, for which Amnesty has been lobbying intensively, and to serve as an alternative should the United Nations not publish its list. (2) “Ban Israeli settlement goods”: A continuation of a campaign to press governments, in particular that of the United Kingdom, “to ban Israeli settlement goods from entering your markets, and to stop companies based in your country operating in settlements or trading in their goods.” Amnesty has built dedicated website sections for this purpose. In addition, it has supported legislation in Ireland that, if enacted, will criminalize visiting Jewish historical and holy sites, including Jerusalem’s Old City, and purchasing goods and services from Jews located for whatever reason or duration in Jerusalem and over the 1949 Armistice Lines. 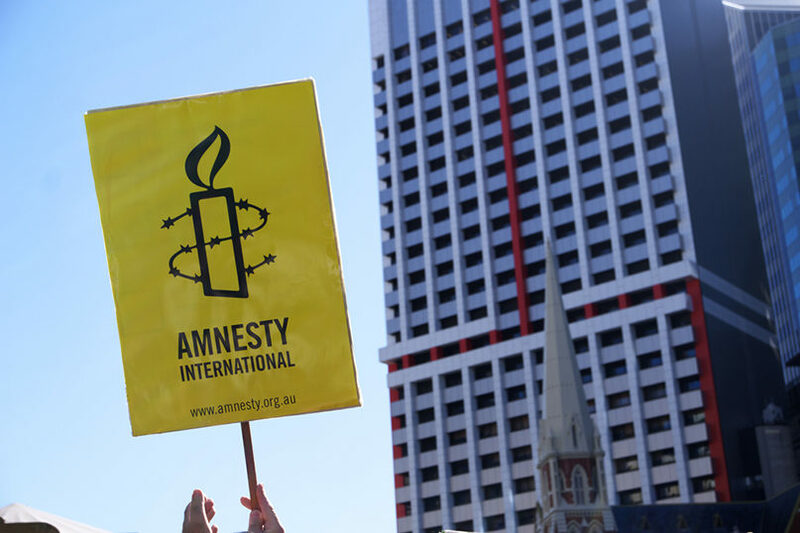 Amnesty’s 2019 attacks on the Jewish state come at a time when NGO is facing increased criticism over its own deeply rooted antisemitism. In 2018, Amnesty cancelled a debate sponsored by the U.K.’s Jewish Leadership Council, scheduled to be held at Amnesty’s Human Rights Centre in London. And when Amnesty conducted “an unprecedented large-scale analysis of abuse against women on Twitter,” it included sexism and racism against female journalists and politicians, but not antisemitism. Similarly, Amnesty has done little to no campaigning on the rising number of violent antisemitic incidents in the United States and Europe. In April 2015, Amnesty-U.K. rejected an initiative to “Campaign against antisemitism in the U.K.,” as well as “Lobby the U.K. Government to tackle the rise in antisemitic attacks in Britain” and “monitor antisemitism closely.” It was the only proposed resolution at the Annual General Meeting that was not adopted. Notably, Amnesty-U.K. continues to employ Kristyan Benedict, who has made multiple antisemitic comments (including against female Members of Parliament).